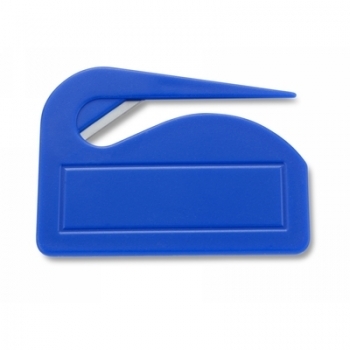 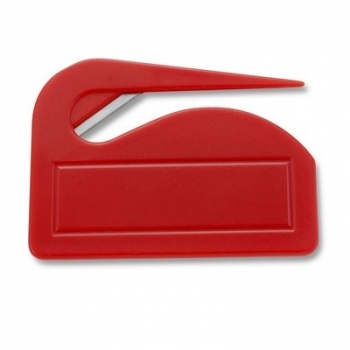 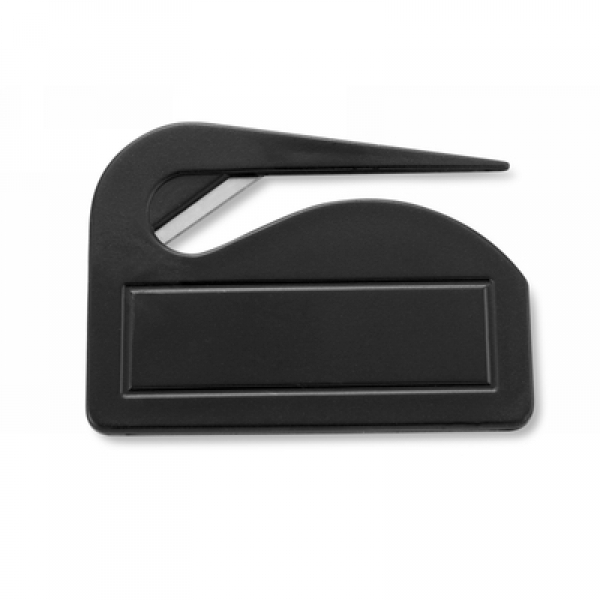 The letter opener is made of plastic with a metal cutting blade. Available in 4 colors. Dimensions: 7 x 5.2 x 0.3 cm.